The creation of architecture drawings, renderings, portfolios and boards can involve many different types of software and there is software than can can meet all your needs. This tutorial outlines the most prevalent ones and how they might be used. Software is generally broken down into vector line work and image processing. Scale line work is important as a basis of any rendering or drawing. 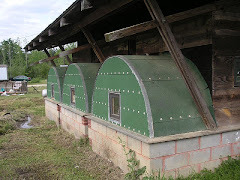 Then diagramming, context, habitation, and its environment can be added. There are many different software you can use, different add-ons and software versions and possible ways to use them together to create successful designs. The most prevalent software used for architectural design is AutoCAD, Illustrator, InDesign, Photoshop, Revit, Rhino, and SketchUp. Designs typically start to scale, either 2D or 3D and then imported via pdf into another program for tweaking/diagramming/processing, then placed in InDesign for printing. AutoCAD is a commercial software application for the creation of 2D and 3D computer-aided design (CAD) and drafting. Released in 1982 by Autodesk Inc., it continues to be the most widely used CAD program in the world. Typically students learn to use AutoCAD in high school or in college, where they learn to draft designs such as buildings or machinery parts. It is usually a prerequisite for college design degrees. AutoCAD Architecture is a version of AutoCAD that is created especially for architects. 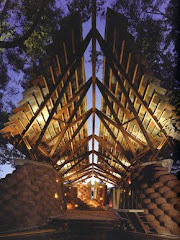 It has features that allow architects to do a more efficient drafting, creating designs and documents familiar to them. 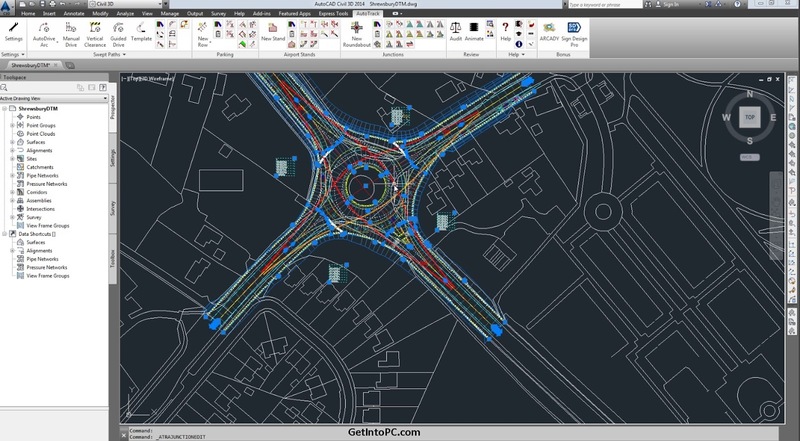 It has the same platform as AutoCAD that makes it easier for experienced architects to understand. There are other CAD programs out there, but remember to learn the version that will help you get a job after graduation. 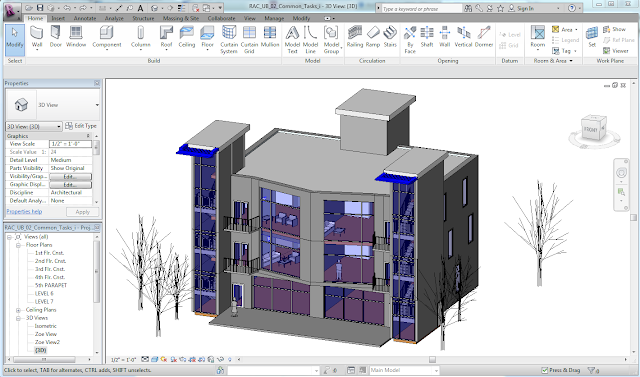 Many firms only use Revit nowadays, so learn and use the software to help you get the job you want. I personally have used AutoCAD for all my plans, drawings, sections, etc. in school as it is free for students to use and I didn't have time in my schedule to learn another one. Once I have a hard-lined drawing, I use Photoshop or Illustrator to put the final touches on them. 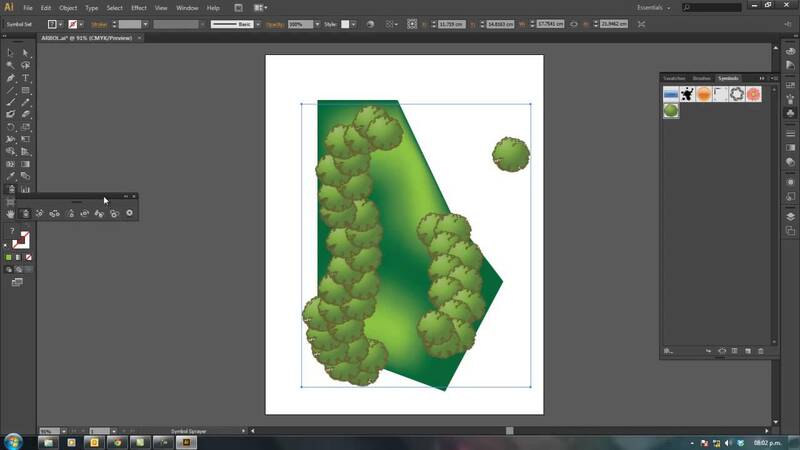 Lineweights in AutoCAD can be difficult to set and confusing to use, however Illustrator will allow you to more easily change them and you can add in textures, colors, poché, etc. more easily than you can in AutoCAD. Newer versions will likely make it easier, but use the programs you know to get the result you want. InDesign is a vital piece of software for any architect. It is used for the creation of pdfs that can be used to post things online, create portfolios or to create architecture boards. Definitely learn this software and if you can, take a course at school or watch videos online. You can set up font types/sizes, page master pages with page numbers, helping increase productivity and document consistency. The software also gives you the ability to package your files together and bring them with you so you can work at school or at home without the hassle making sure you copy each separate file and take it with you. As a student, you can purchase Adobe Creative Cloud for about $20 a month plus tax and it is definitely worth the investment. It will automatically update, you can save your work online on Bēhance and you can also save your screen settings, all of which increases your productivity and exposure as a designer. The non-student version of the Creative Cloud is $30 a month plus tax. 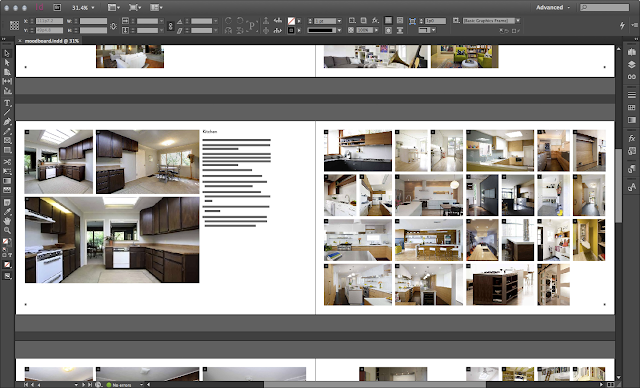 Illustrator can be used for many different things; the creation of diagrams, adjusting of the lineweights of vector files (CAD, SketchUp or Revit pdfs) and the creation of renderings. I personally learned this piece of software late and I regret it, especially after all those hours I spent fighting with CAD to get the lineweights right. I and others have also found that the hatching in CAD tends not to print correctly, but with Illustrator you can add wall poché, textures or people silhouettes much easier and with less errors than in CAD. It also works with Revit plans or 2D pdf files from Sketchup which helps a lot with 3D building diagrams, sections, elevations or plans. 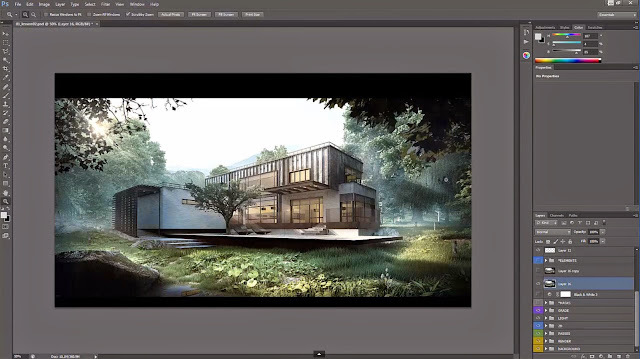 You can also link Photoshop files into the Illustrator files or visa verse to help you make superb renderings. I highly recommend creating your diagrams in Illustrator and saving them as pdfs so they can be viewed on any computer, and easily placed into Indesign files or printed. Creating diagrams over plants or sections in Illustrator can also be easier since the pen tool will snap over line endpoints or 'anchors'. You can download this as part of your Adobe Cloud membership. 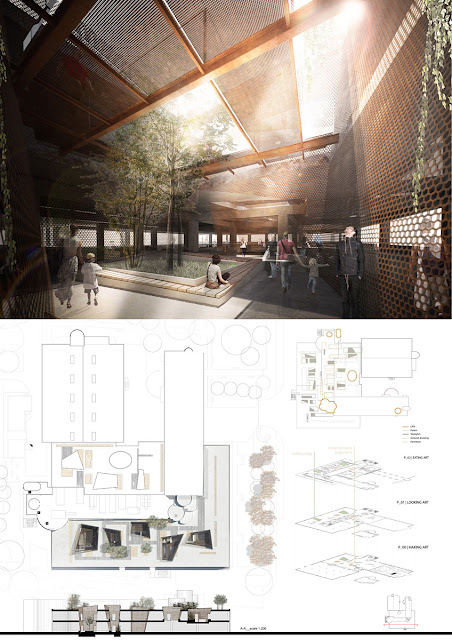 When creating renderings, whether it is a section, elevation or plan, knowing how to use Photoshop is absolutely vital. Definitely take a class at school or watch tutorials online. Photoshop is usually used in conjunction with other software like CAD, Revit, SketchUp, or Illustrator. It is used for image processing, adding textures (like brick, stone, etc. ), landscape, people, a sky, etc. You can use it for just about everything, once you learn how to use it. It is also a great way to fix and edit scans of your work and create vignettes, etc. Also part of an Adobe Creative Cloud membership. 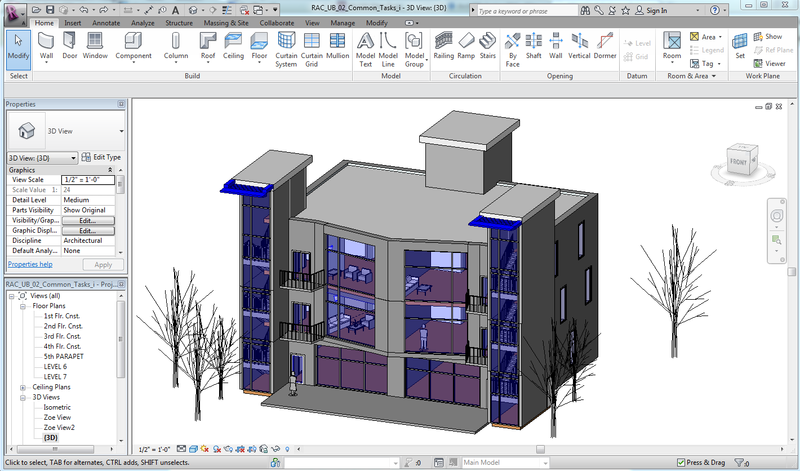 Revit is programmed for building information modeling or BIM, which is the key for a sustainable design and coordination. The changes that you make will be automatically coordinated throughout the project that you are working on. This helps architects make a consistent and complete project. The features are easy to understand to help you start a complete, consistent and error free design and is based on AutoCAD. 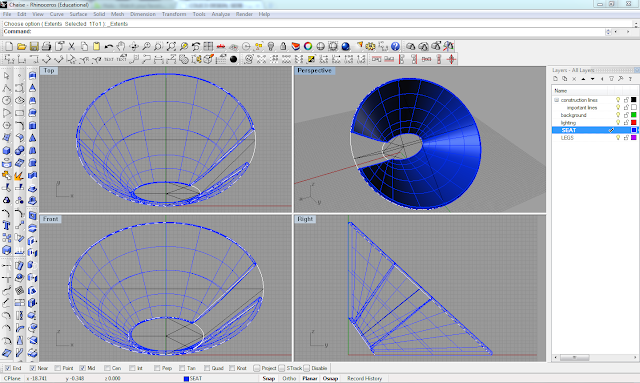 This program is much easier than AutoCAD to create sections, plans, etc. and most firms use this software so you should definitely learn it (ask around). 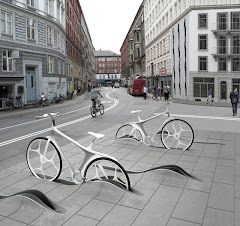 You can also create 3D renderings from this software which can be a lifesaver when working on studio projects. Students can download and use Autodesk Revit for free, however it is not for commercial use so when files are used, they are saved as a student version. Commercial users can download a trial version. Developed by Robert McNeel & Associates, Rhinoceros 3D (Rhino) is a stand-alone, commercial NURBS-based 3D modeling tool. It is commonly used for industrial design, architecture, marine design, jewelry design, automotive design, CAD/CAM, rapid prototyping, reverse engineering as well as in the multimedia and graphic design industries. Rhinoceros 3D gained its popularity in architectural design in part because of the Grasshopper plug-in (parametric modeling tool) for computational design. There are also several other rendering plug-ins developed by McNeel: Flamingo (raytrace), Penguin (non-photorealistic), Bongo and Brazil (advanced). There are over 100 third-party plug-ins available. In school, Rhino is typically used to figure out 3D issues, however it can be used to take a CAD 2D file and quickly import it and create a 3D section axonometric for example. Rhino’s increasing popularity is based on its diversity, multi-disciplinary functions, low learning-curve, relatively low cost, and its ability to import and export over 30 file formats, which allows Rhino to act also as a ‘converter’ tool between programs in a design workflow. 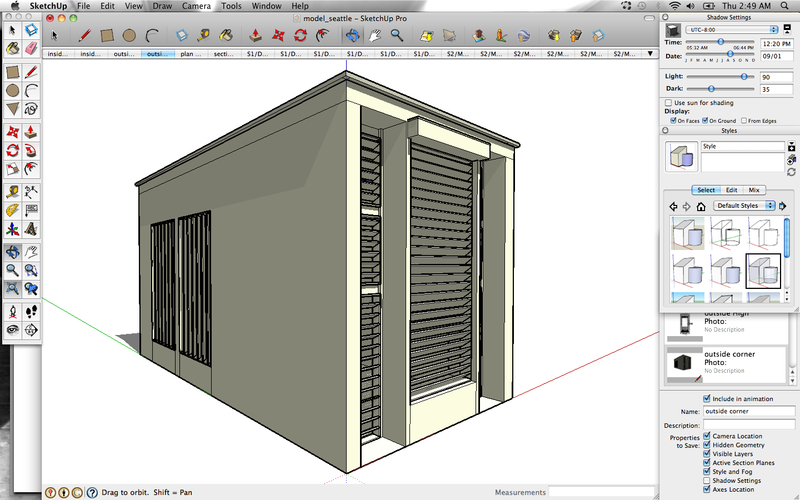 SketchUp allows the user to quickly and easily make 3D designs. It can be downloaded for free however many of its export features are disabled. SketchUp Professional or Pro has all the program's functions and comes with SketchUp Make, which creates plans, sections, etc. for scale printing of your 3D design. Buying SketchUp Pro is quite expensive for a commercial version. A student license is a mere $49 at the time of this article though you can likely work on it at school for free. If your computer has a good graphics card and plenty of ram, it is definitely worth purchasing. Be warned that you must submit your information through a third party in order to receive the discount but your license will work for a year from purchase. Printing to scale is quite difficult from SketchUp without using Make, however you can export a design into a drawing or .dwg file can use this file in CAD or Revit to start your design or visa versa. You can also download people, buildings, furniture, vehicles, etc from the SketchUp 3D Warehouse which can be great for the creation of design vignettes or renderings of your designs. Perfecting a rendering in SketchUp alone is also very difficult and there are many add-ons that can help you a lot with your design. In school, I typically use SketchUp to create a 3D version of my building, export pictures, print them and trace over them, embellishing the vignette, coloring, scanning and using PhotoShop to overlay the SketchUp shadows, textures, etc. Screenshots of SketchUp models tend to be over-saturated and the textures you can use also are very cartoon-like however it can become a vital step in your design process. If you are looking for a book on computer rendering, Bradley Cantrell and Wes Michaels' book, Digital Drawing for Landscape Architecture: Contemporary Techniques and Tools for Digital Representation in Site Design, even though it is for landscaping outlines the requirements and techniques for Photoshop rendering beautifully. Look for used or new books from an amazon seller since they are generally cheaper than Amazon even with shipping. Always be sure check seller reviews!